They keep us warm during cold seasons and cool during hot seasons, do our laundry, help us make breakfast, and help us clean. When any of these appliances become damaged or break down, it can cause great inconvenience in the house, even if it’s a simple appliance like a toaster. Therefore, it’s important that as soon as you notice a minor problem with any of your home machines, you should get a pro for appliance repair in Boca Raton. Appliance repair professionals have the much-needed skills and experience to deal with various home appliances, and they can get your appliance back up and running in no time. 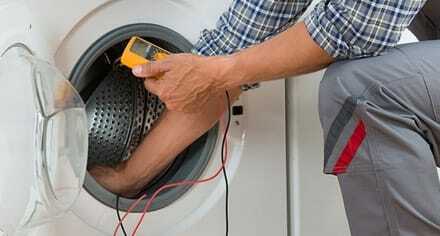 Appliance repair costs may vary due to certain factors. These factors can include the type of machine that needs repair. Generally, small appliance repair in Boca Raton is less expensive compared to large home appliance repair. The extent of the damage to the particular machine also factors in as some appliances just have some minor repair problems while others need more time to get fixed because the issue may be rather serious or even hazardous. Some home appliances might require new parts in the repair which will add to the costs. Furthermore, these appliances are made by different companies which have different standards compared to others. Repairing top-rated machines from quality brands requires specific skill sets and parts that many service vans carry.